What could be more outrageous than the hefty subsidies the U.S. government lavishes on rich American cotton farmers? How about the hefty subsidies the U.S. government is about to start lavishing on rich Brazilian cotton farmers? If that sounds implausible or insane, well, welcome to U.S. agricultural policy, where the implausible and the insane are the routine. Our perplexing $147.3 milliona-year handout to Brazilian agribusiness, part of a last-minute deal to head off an arcane trade dispute, barely even qualified as news; on Tuesday, April 6, it was buried in the 11th paragraph of this Reuters story. (The New York Times gave it 10th-paragraph play.) If you're perplexed, here's the short explanation: We're shoveling our taxpayer dollars to Brazilian farmers to make sure we can keep shoveling our taxpayer dollars to American farmers  which is, after all, the overriding purpose of U.S. agricultural policy. Basically, we're paying off foreigners to let us maintain our ludicrous status quo. I've previously written that federal farm subsidies are bad fiscal, environmental and agricultural policy; bad water, energy and health policy; and bad foreign policy, to boot. Cotton subsidies are a particularly egregious form of corporate welfare, funneling about $3 billion a year to fewer than 20,000 planters who tend to use inordinate amounts of water, energy and pesticides. But the World Trade Organization (WTO) doesn't prohibit dumb subsidies. It only prohibits subsidies that distort trade and hurt farmers in other countries. And yes, U.S. cotton subsidies do that too. By encouraging Americans to plant cotton even when prices are low, they promote overproduction and further depress prices. An Oxfam study found that removing them entirely would boost world prices about 10%, which would be especially helpful to the 20,000 subsistence cotton growers in Africa. In 2005 the WTO upheld a challenge that Brazil had filed against the cotton subsidies as well as some export-credit guarantees for all American farm products, but the U.S. essentially ignored the ruling. So last August, the WTO gave Brazil the right to impose punitive tariffs and lift patent protections on $829 million worth of U.S. goods  including nonfarm products like cars, drugs, textiles, chemicals, electronics, movies and music. The retaliation was supposed to start Wednesday, April 7, and it would have driven home how our relentless coddling of farmers hurts other American exporters, paralyzing our efforts to open overseas markets to the nonfarm goods and services that make up 99% of our economy. But at the 11th hour, negotiators from the Office of the U.S. Trade Representative and the Agriculture Department reached a temporary deal with their Brazilian counterparts, so the retaliation is on hold. The U.S. negotiators did agree to modify the complicated export-guarantee program to make it less of an export-subsidy program. They also agreed to ease restrictions on Brazilian beef that have been justified as an effort to protect Americans from foot-and-mouth disease  and criticized as an effort to protect U.S. cattlemen from competition. But the big-ticket item is the settlement's "technical assistance" fund of $147.3 million, prorated, for Brazilian cotton growers. That just happens to be the precise amount of the retaliation the WTO had approved for the improper cotton subsidies. 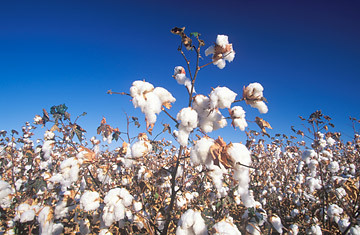 According to the U.S. press release, the fund will be replenished every year "until passage of the next farm bill or a mutually agreed solution to the cotton dispute is reached." So the total cost will exceed the price tag of the infamous Alaskan bridge to nowhere, which was at least designed for Alaskans; the annual cost will far exceed the $100 million President Obama ordered his Cabinet to cut from the federal budget last year. Of course, helping Brazil's Big Ag  which is just as big as our Big Ag  won't stop the U.S. (or Brazil!) from dumping cut-rate cotton into the world market, hurting subsistence cotton growers in Mali and Burkina Faso. (I've heard the deal may include modest aid for African farmers, but it's not in the press release, and government officials never replied to me with answers to my questions.) But there is at least one piece of good news from the fields: U.S. cotton subsidies have been declining lately, because U.S. cotton farmers want to be independent of government assistance. Just kidding! U.S. cotton subsidies have been declining lately, but only because the government-subsidized ethanol boom has made government-subsidized corn and government-subsidized soybeans even more lucrative for farmers. The fix is still in when it comes to American agriculture. Congress might "explore modifications" in 2012, but somehow its explorations and modifications always end up shoveling even more cash.